Primary tropical rain forests are being rapidly perforated with new edges via roads, logging, and pastures, and vast areas of secondary forest accumulate following abandonment of agricultural lands. 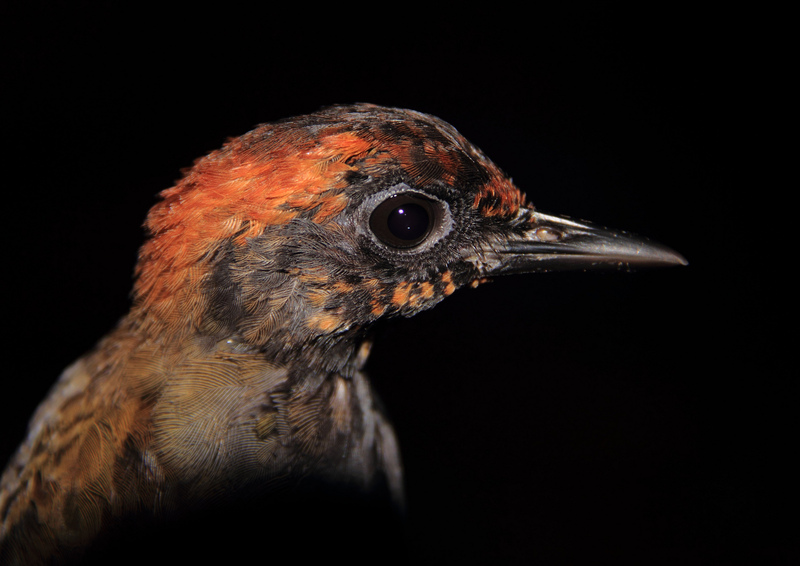 To determine how insectivorous Amazonian understory birds respond to edges between primary rain forest and three age classes of secondary forest, we radio-tracked two woodcreepers (Glyphorynchus spirurus, N = 17; Xiphorhynchus pardalotus, N = 18) and a terrestrial antthrush (Formicarius colma, N = 19). We modeled species-specific response to distance to forest edge (a continuous variable) based on observations at varying distances from the primary-secondary forest interface. All species avoided 8–14-yr-old secondary forest. Glyphorynchus spirurus and F. colma mostly remained within primary forest <100 m from the young edge. Young F. colma rarely penetrated >100 m into secondary forest 27–31 yr old. Young Formicarius colma and most G. spirurus showed a unimodal response to 8–14-yr-old secondary forest, with relative activity concentrated just inside primary forest. After land abandonment, G. spirurus was the first to recover to the point where there was no detectable edge response (after 11–14 yr), whereas X. pardalotus was intermediate (15–20 yr), and F. colma last (28–30 yr +). Given the relatively quick recovery by our woodcreeper species, new legislation on protection of secondary forests > 20-yr old in Brazil’s Pará state may represent a new opportunity for conservation and management; however, secondary forest must mature to at least 30 yr before the full compliment of rain forest-dependent species can use secondary forest without adverse edge effects. 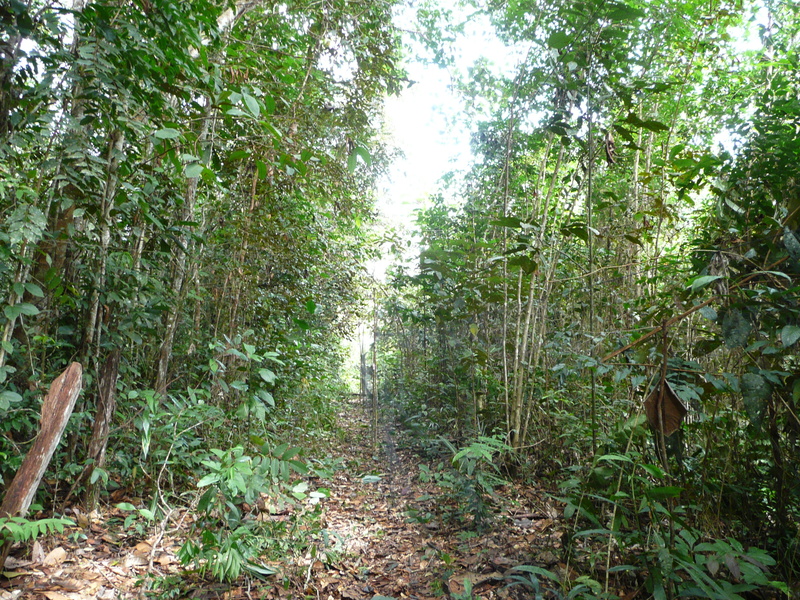 Mist nets set up along the edge of a forest fragment (at left) and maturing secondary forest (at right) at the Biological Dynamics of Forest Fragments Project (BDFFP) near Manaus, Brazil. (Photo: Luke Powell). 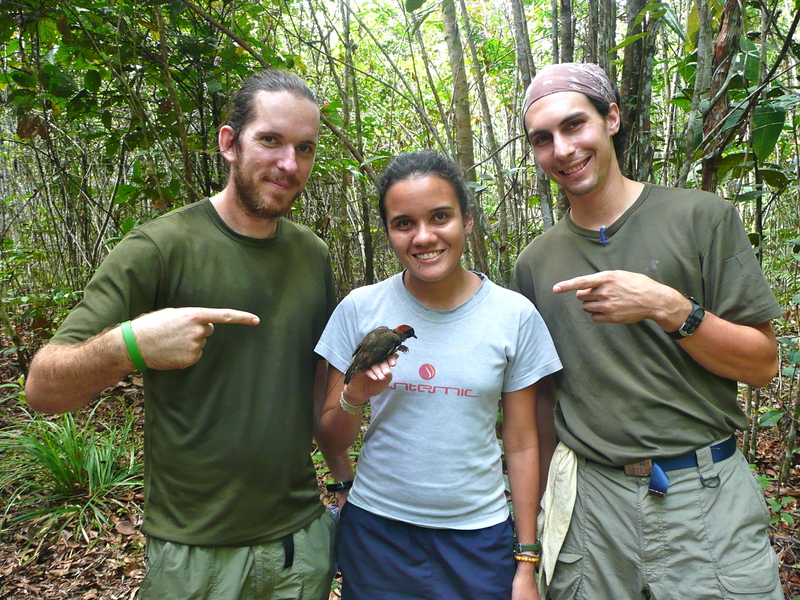 Jared Wolfe (left), Aída Rodrigues (center), and Luke L. Powell (right), prepare to release a radio-tagged Rufous-capped Antthrush, Formicarious colma.